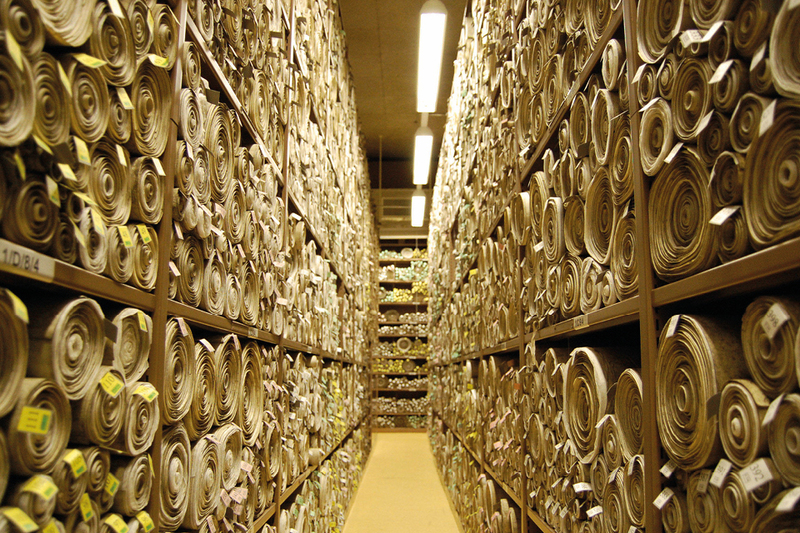 With the support of the National Archives (TNA), the Department for Environment, Food & Rural Affairs (Defra) has launched a new portal to Defra legislation, DefraLex: www.legislation.gov.uk/defralex. 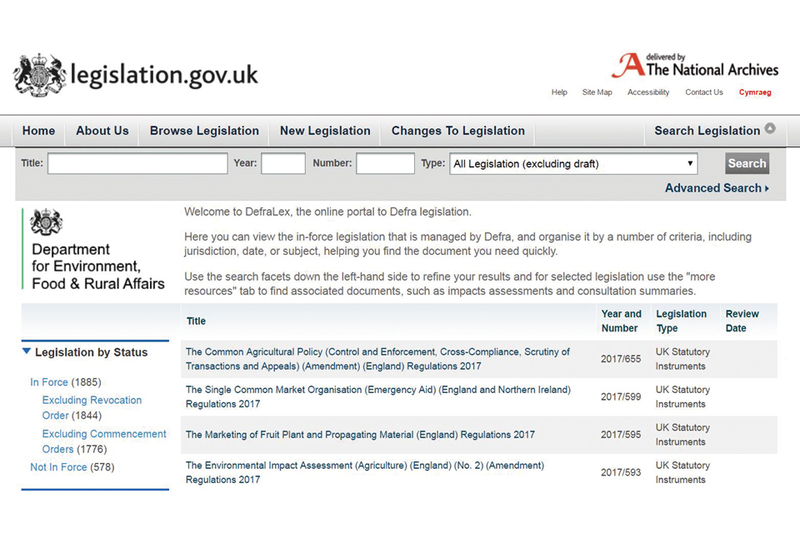 Unique in Whitehall, DefraLex provides information on all Defra’s legislation currently in force, and provides far greater detail and more ways to search than is publically available elsewhere. This is the story of why and how Defra decided to create this system, and its expected impact. Our system of Common Law has been in existence in England since 1189 and across the United Kingdom since 1707. Our law is thus the result of over 800 years of continuous development and modification, reflecting changing social and economic requirements and, since 1973, our membership of the EU. TNA is responsible for holding the public record of all UK Law, and is published on www.legislation.gov.uk. However, as a result of the continuous flow of new and amending law, and the lack of regular consolidation, it has become ever more challenging for users to identify what law remains in force and to obtain a single view of the up-to-date texts. As a consequence, access to the law has increasingly been the preserve of lawyers and consultants, or those businesses and citizens willing to pay for expensive commercial services. However, this lack of access to the law is not only a problem for the public. It also impedes government departments’ own awareness and understanding of the legislation for which they are responsible, and increases the risk that unnecessary or outdated laws remain on the statute book. Tracking historic legislation has been further complicated as a result of Machinery of Government (MoG) changes, such as departmental mergers. The UK’s exit from the European Union will lead to another significant change in our laws. It is estimated that the Great Repeal Bill will require between 800 and 1,000 statutory instruments to convert existing EU law into UK law. And further changes are anticipated in the years that follow. This will undoubtedly create a strong demand from businesses and citizens to understand the nature, substance and impact of these changes on their day-to-day obligations. Defra’s Better Regulation team believed that modern technology, allied with determination, would provide a long-term solution to these problems. Instead of commissioning an external consultancy to produce a report on Defra’s legislation, the team looked for a partner to develop a sustainable, resource-light, digital system that could be largely self-maintaining. Enlisting the support of TNA, they created a specific Defra dataset linked to the official legislation.gov.uk website database, which would then automatically update as new legislation was published. The initial sources for the dataset included earlier studies and products from the Red Tape Challenge programme, and additional research was also tendered with commercial legal publishers. The results were then checked by Defra policy teams and lawyers. This integration with the normal legislative publishing system means that there is virtually no cost to maintaining the system, and being linked to legislation.gov.uk means DefraLex is also easy to find and freely accessible to the public. DefraLex adds an additional step to the normal legislation.gov.uk publication process, allowing many additional information fields to be populated that are of interest to stakeholders. These include ‘category’ (e.g. animal health and welfare, environment), ‘source’ (to distinguish legislation that is of EU, international or domestic origin), and the type of measures introduced (e.g. permits, offences, fees or charges). Associated documents that may be of interest to the public and which improve transparency can also be added to specific legislation, such as Impact Assessments and consultation responses. What does DefraLex allow us to do? Defra has nearly 200 primary Acts currently in force, with the oldest dating back to 1609: the Sea Sand (Devon and Cornwall) Act. And when the project was first started in 2012, Defra also had around 2,000 regulations in force. However, the creation of DefraLex has allowed the department to identify regulations that are no longer needed and revoke them. Similarly, regulations that have been subject to multiple amendments can now be identified for consolidation into new single texts. Since 2012, Defra has reduced the number of individual regulations by 20% and estimates that through online revision this could reach 40% during 2018. DefraLex also allowed Defra to quickly identify 1,200 pieces of legislation that need to be assessed in relation to the UK’s exit from the EU and preparations for the Great Repeal Bill. Defra continues to look at ways to improve the management of its legislation and access to it. The department has established a Legal Transparency Project, which is producing online revised versions of all its legislation in response to stakeholder demand. Over 21,000 individual revisions to Defra’s primary laws will shortly be completed, and all 1,800 pieces of in-force secondary legislation will be digitally revised during 2018. Although DefraLex is currently unique in Whitehall, it is starting to attract serious interest, and its design and integration with legislation.gov.uk and other data sources mean it is technically easy to replicate. For example, the Northern Ireland Executive has a project underway to explore how best to create a system similar to DefraLex, for all Northern Ireland Departments. Following the publication of DefraLex on legislation.gov.uk (on 16 June 2017), Defra will launch a consultation to gather views on the benefits to users and identify whether further enhancements could be made. Additionally, an Impact Assessment is in preparation to establish the anticipated savings to business from having Defra legislation readily accessible. These benefits will also extend to Defra itself and government, for example by reducing the cost of consolidating regulations via new amending regulations.